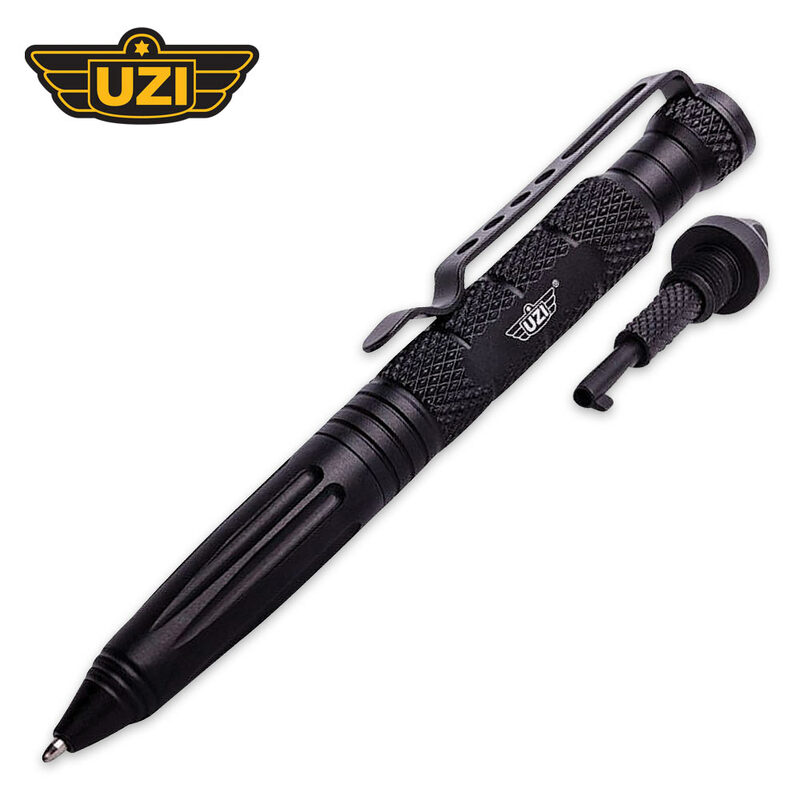 Continuing the UZI legacy, the tactical pen is often your last line of defense against an attacker. The Tactical Glass Breaker Pen WIth Hidden Cuff Key is a black pen made of ultra-heavy-duty, lightweight aircraft aluminum with a metallic pocket clip and a slip-free grip. It features a carbide-tip glass breaker and a hidden hand-cuff key built right into the end of the pen. It is 6” in overall length.